We are excited to announce the exclusive partnership with Unsplash offering our community a library of high-resolution photos available directly in Visual Composer Hub. 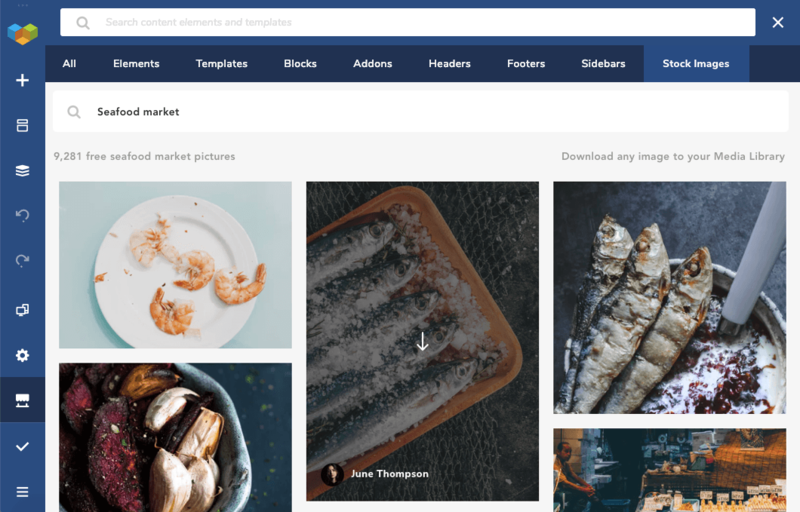 With the Unsplash integration, you are now able to search and download hundreds of thousands of high-quality, and fully-licensed images straight from the Visual Composer editor. Unsplash is one of the largest and most dynamic creative communities on the Internet whose beautiful photos complement countless of projects. All the images there are submitted directly from photographers for your free use. Be it a personal blog or commercial cause, the images are a pure complimentary for Visual Composer Premium users. How to Use Unsplash Library? Whether you are a newbie or an experienced user of Visual Composer, the Unsplash integration is really easy to use. You will be able to search and choose photos from the library of beautiful images, making the whole process of creating your website more enjoyable. Your image will be downloaded and automatically added to your Media Gallery. Now to add the image into your layout, simply use any of the many Visual Composer image elements you can download from the Visual Composer Hub. Every website that has high-quality images attracts its audience. With the stock images, anyone can make their website more engaging. Use Unsplash images for an eye-catching hero section, highlight your brand or tell a vivid story through the colorful background patterns. Stock photos are great for mockups. In the process of creating a website, it is easier for web designers and developers to use stock images for presenting the ideas to clients. With the Unsplash integration, you will be able to put together a grid of photos for your client’s mood board. Unsplash images are free and fully licensed. You can browse and download any photo you like from the Stock Image section in the Visual Composer Hub and don't worry about the photo licensing issues. Just like WordPress, Unsplash is a community of trustworthy contributors. And, yes, you can use Unsplash for your commercial projects. Photos are an essential part of every website. Finding the perfect header image, putting together a photo grid, setting a high-quality background ─ that all can be done straight from the Visual Composer editor. No more moving from one page to another. With the Visual Composer + Unsplash integration, you will have access to hundreds of thousands of great quality photos, available to Premium users. As a dedicated WordPress-powered product provider, Visual Composer team is excited and honored by this partnership and really happy to be able to offer our community easy access to beautiful imagery shared by Unsplash family. You too can be a part of this exciting journey, unlock the photo potential and let’s build beautiful websites together! This is awesome!!! Love the feature. Images is an essential thing for any website. We constantly use Unsplash for backgrounds. Thanks! We are glad you enjoy using it. It is also one of my favorite features released lately. Beautiful images right there in your favorite website editor. That’s a brilliant feature that saves me a lot of time. Thank you! Indeed a real time-saver! You are welcome thanks for using our builder. Visual composer is good. But primium copy should be life time. Thank you! We are putting a lot of efforts to keep it as a number one tool for website creation. With a one time payment, it’s financially impossible for us to provide our users with the support that they deserve. But you as a website owner can decide whether you want to renew your license or not. Visual Composer Website Builder will continue to work even after the license expiry, more info here.